Dark Patchouli Essential Oil - Sweetgrass&Rain Inc.
Patchouli is a very fragrant herb with soft oval leaves and square stems. It grows from 2 to 3 feet in height and provides the exotic odour that is characteristic of patchouli when the leaves are rubbed. It became very popular throughout the British Empire when silks and cashmere shawls from India were packed with Patchouli to discourage insects during shipping, the scent being the final proof of origin. Genuine India Ink was also scented with it. 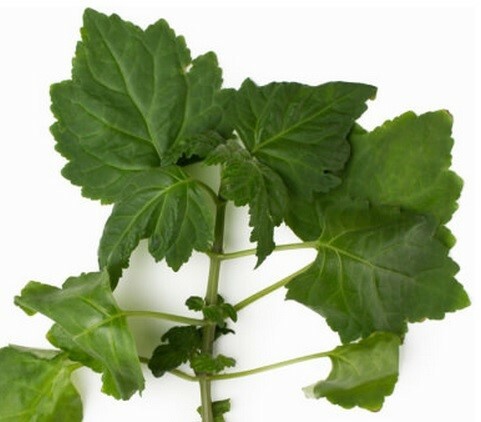 Patchouli has a rich earthy aroma with spicy floral notes. Glass bottle with tamper proof closure and removable dropper. Blends With: Bergamot, Cassia, Cedarwood, Myrrh, Opoponax, Rose, Sweet Orange, Sandalwood. IMPORTANT: All Sweetgrass&Rain Aromatherapy Essential Oils are for external use only, are not intended to diagnose, treat, cure, or prevent any disease and should not be used by anyone who is pregnant or under the care of a medical practitioner. Dilute Essentials Oils well with a suitable Carrier Oil before use. Essential Oils may cause skin irritation in some individuals so a skin test is recommended prior to use. Avoid contact with eyes. © 2011 - 2019 Sweetgrass&Rain Inc. and Cherry Bomb Soap Co. a division of Sweetgrass&Rain Inc. All rights reserved.